The second grouping of Major Arcana Cards in the Motherpeace Tarot Deck discusses more serious life issues which are encountered in life. The first grouping is mainly about the beginning of life, and lessons learned from parents, teachers, and other respected people, family members or those close to home. It is advice that helps young people understand what is expected of them once they are old enough to begin attending events outside of the home, and what kinds of behaviors are, or are not, acceptable. 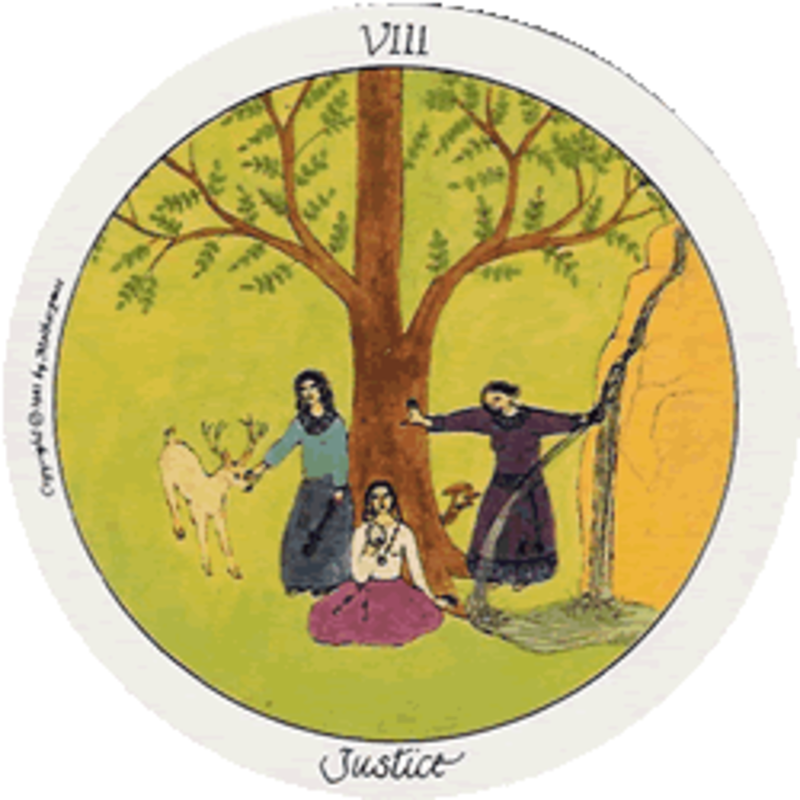 In the majority of Tarot decks, the number eight card is Strength, and the number 11 card is Justice. The Motherpeace deck (and several others), change that lineup, thus using number eight for Justice, and 11 for Strength. The Justice card is an indication that whatever is happening in your life at the time is fair and just, as experienced in the law of karma, or cause and effect. Karma is the personal responsibility through which you create your reality, in thoughts, words, and actions. It is also a law of compensation, you get what you deserve. Life is unfolding as it should be, although it may not feel that way to you. But Justice symbolizes that what you have sown to date, you have reaped. Justice represents the natural balance and equilibrium within the Universe. A court case or other legal matter may be taking up time and energy now. Normally the querent will not just take this lying down, but will actively stand up to find facts to support their point of view. This is not a passive card. Motherpeace shows three Norse Goddesses of Destiny, whom have stopped by a tree to listen and respond to life. One goddess holds a crystal, and through this stone she connects to the pulse, or giant crystal at the core of Earth. Her other hand is touching the tree. The next goddess waters the tree. She touches it with her other hand to make sure the tree is getting what it needs to be nourished. goddess number 3 completes the circle around the tree. She reaches to pet a deer, asking him what he needs. He answers for all animals and humans. Justice insures harmony, rightness and balance in our lives. If the querent is not feeling at peace, perhaps they must look at the bigger picture. When Justice is reversed, life will feel very out of balance. Maybe a past action has caused a situation that seems unfair, and the person will just have to accept that. 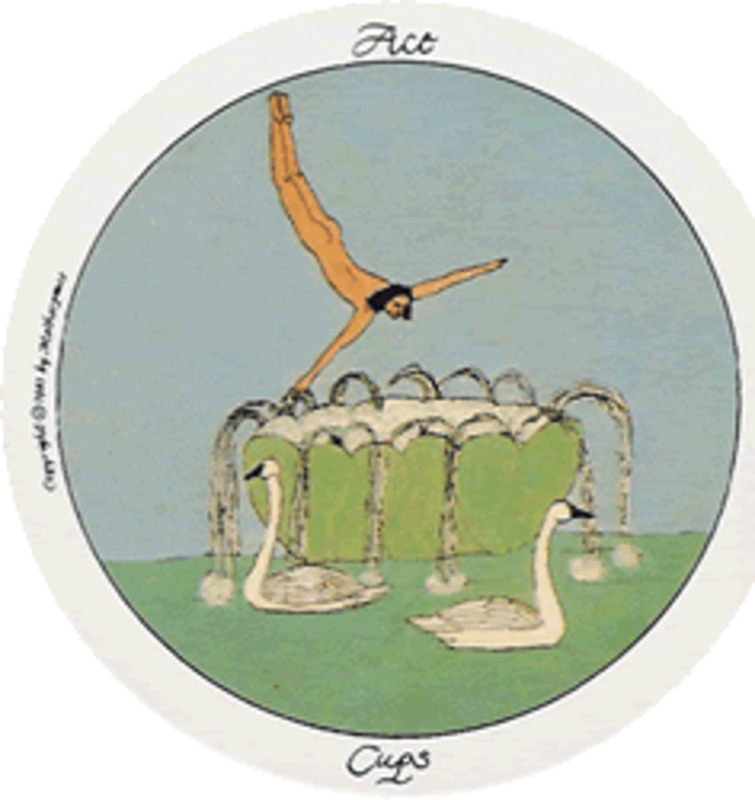 If the card is facing towards the right, the person is putting out too much energy to insure they get the outcome they want, without regard to whether it is right or wrong. If the card faces more to the left, the outcome feels very doubtful. As formerly discussed, the reader will learn to adjust to the added dimensions of information the circular cards can provide. 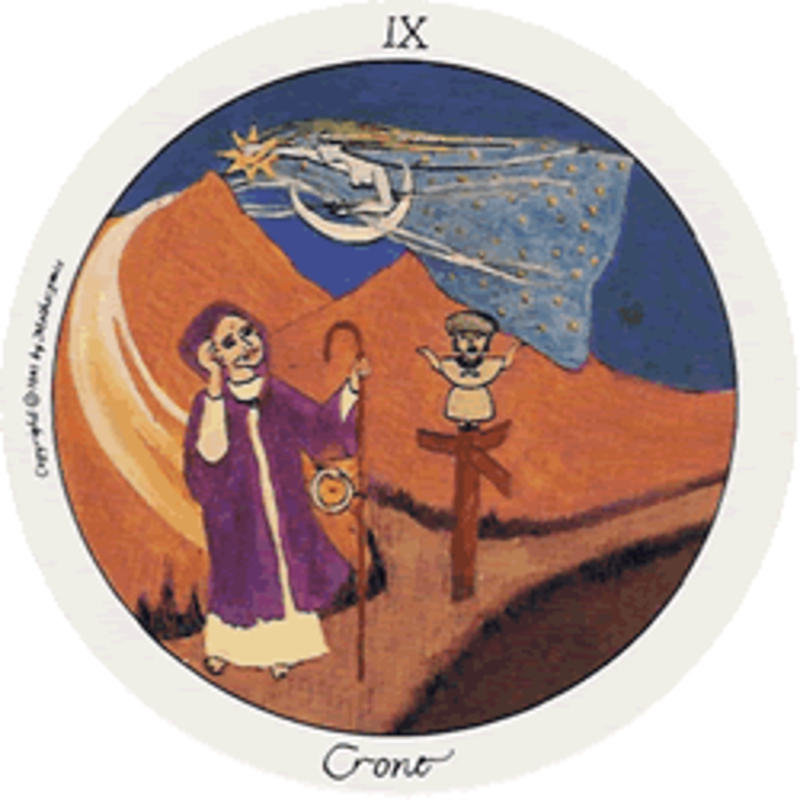 The Crone—This card is otherwise known as The Hermit in other Tarot decks. The Crone comes up in a reading when the querent has reached a crossroads in life, and needs guidance to make a serious decision. The Crone will advise that the person should do some serious soul searching, and must listen to what their intuition tells them to do. The Sun is being pushed away behind the Crone, now it is time for the Moon Goddess to fill the sky with lunar, nighttime energies, as The Moon rules our emotions, psychic, and intuitive abilities. The Crone has much experience to teach others, as she is mature enough to have experienced almost anything possible to undergo at her age. The light on her staff will aid the Crone in lighting the path by giving the questioner positive advice to find their own way. She has much inner wisdom to offer a weary traveler, and makes it clear that sometimes a period of quiet and solitude are necessary in order to make the wisest choice. This may not be accepted by those close to the questioner, but sometimes finding our own path can be a lonely experience. If making the best choice means a withdrawal from certain people or places in our lives, then others may not understand. This can mean those people are not the influences you need in your life at this time. But this Crone is Hecate, the Wise Woman in Greek Mythology, the Sage who learns and teaches that both silence and humility help others learn the secrets of the Universe. She will light the way for them when they are ready to move forward on a course of actions. The Wheel of Fortune—The Wheel of Fortune is the start of a period of life where different and exciting, sometimes unexpected things begin to happen in our lives. New interests beckon, a new job opportunity becomes available, creative energies are activated. Normally when so many new things are happening, it would make someone feel nervous or a little scared. But when the Wheel begins to turn, just go with all the great new people and experiences that are coming into your days and nights. It is a positive time, where you will discover new areas where you shine, and will meet new people you enjoy. They are coming into your life for a reason, and it’s a good one! This is a happy twist of fate, and a happy cycle for you. This wheel “spins” you in a particular direction, one that has a definite meaning. 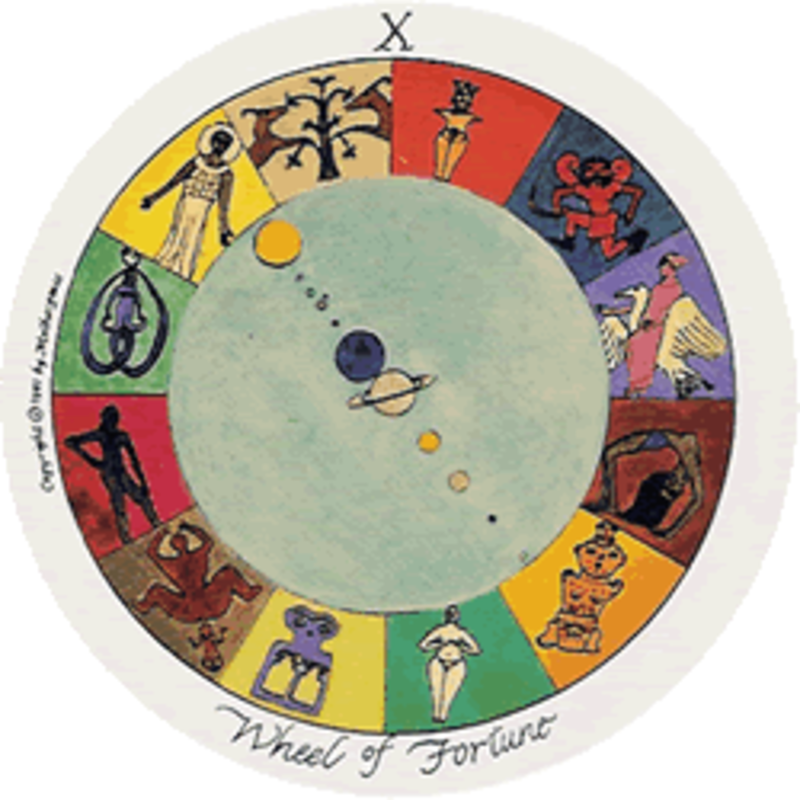 In Motherpeace, the “Wheel” is made up of an astrological sidereal, showing all 12 houses of the Zodiac. 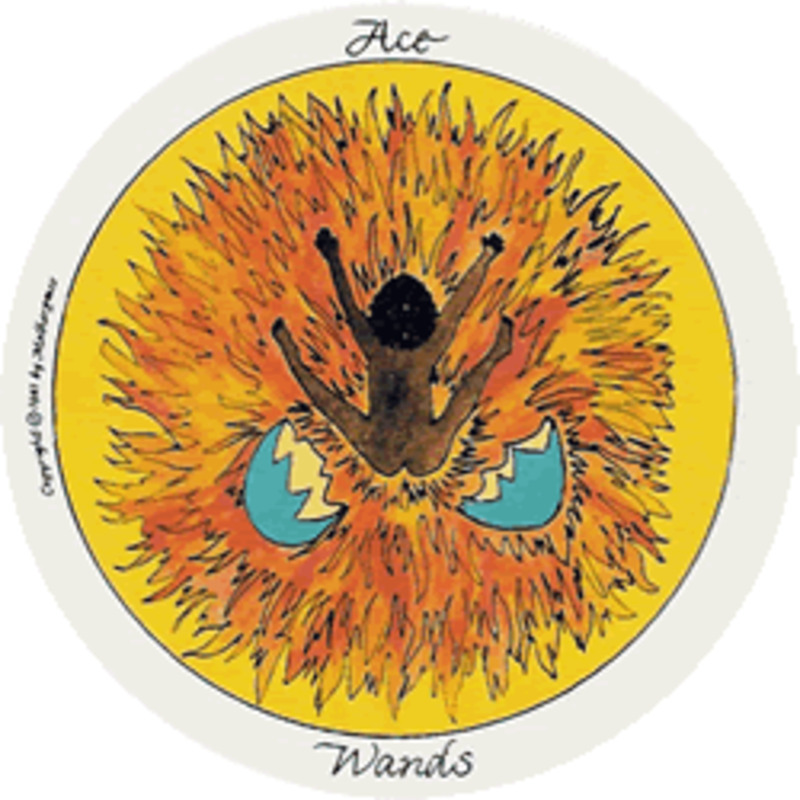 Whatever sign shows up in the card at the ascendant position, or first house, will tell you more about where your area of concentration should be. In the picture, you can see the Astrology sign that is influencing your life at this time is Aries on the Ascendant. So it is a time to be a pioneer, and to begin new projects, let your leadership qualities come out! 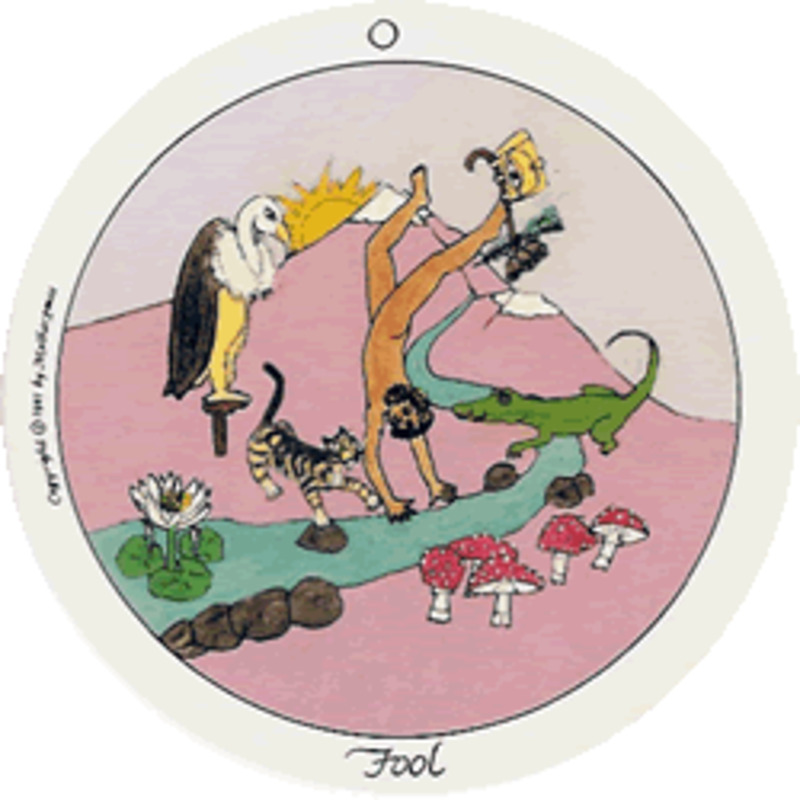 When the Wheel of Fortune is reversed, it’s a period where you may feel like your life is stalled or stagnating. But it usually will not stay that way for long. 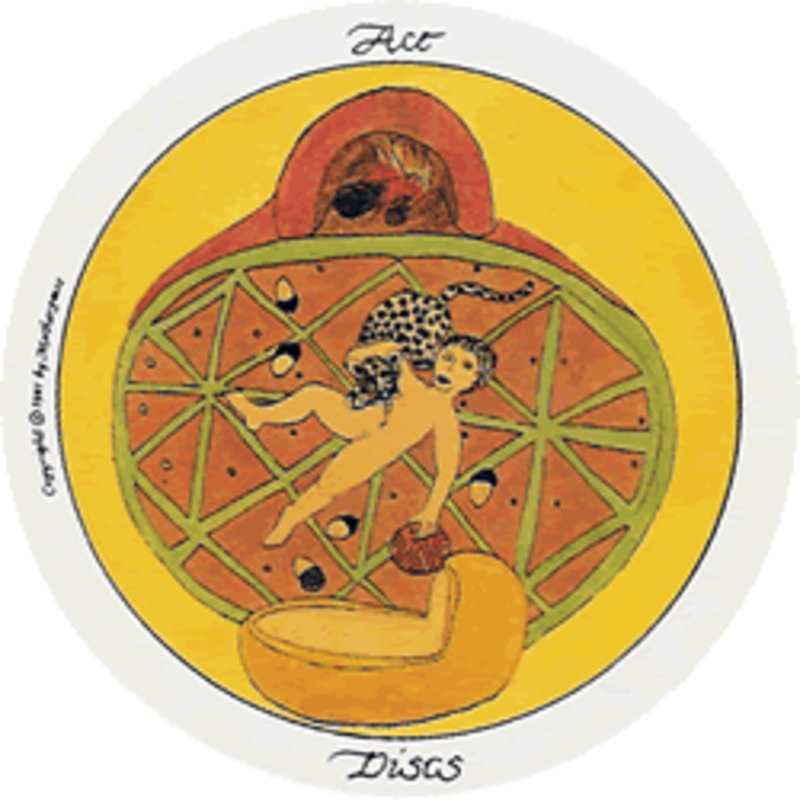 The Goddess Fortuna will soon smile and give the Wheel a spin, manifesting an exciting new event, transition, or a special star will emit it’s positive rays in your direction! 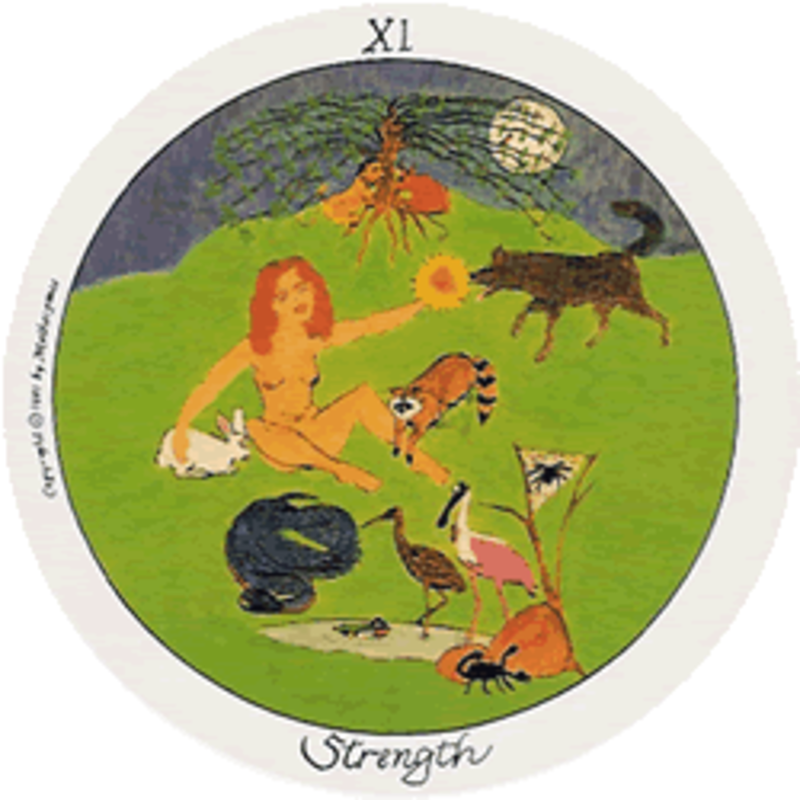 Strength—We see depicted in this card the Irish fairy Goddess Brigid, powerfully surrounded by 12 animals she loves, making her the 13th living being in the card, or the “circle.” She feels completely safe with these animals and in her place on Earth, and is happily expressing her enthusiasm and love for life. Brigid is holding out her ego in her left hand, in the shape of a small sun. The wolf is sniffing it, so knows what Brigid is going to do next. 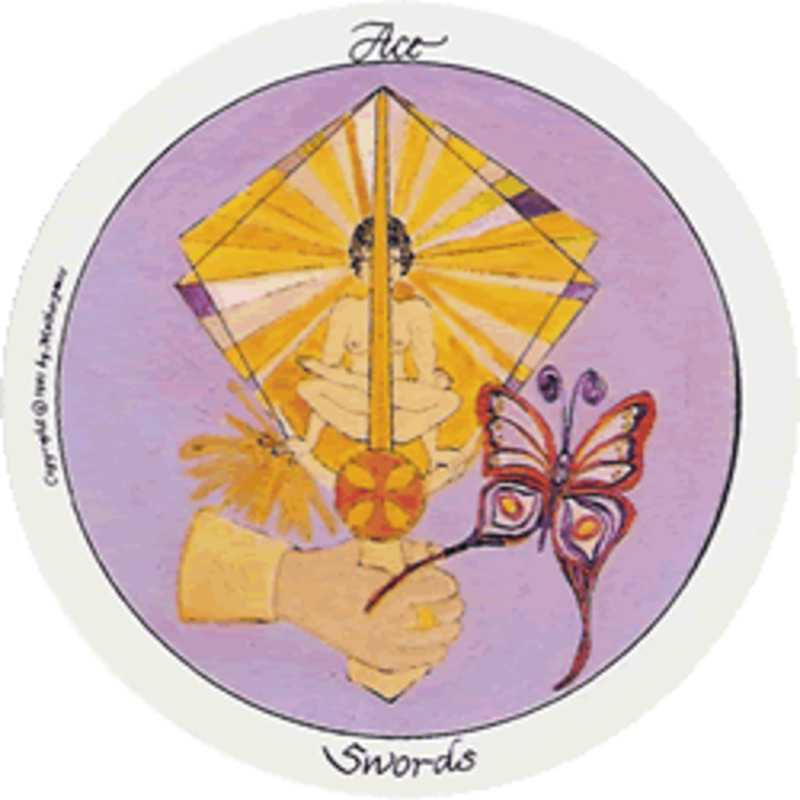 The Strength card expresses that it is possible to be strong without being threatening or dominating. Strength is our inner fire and energy that makes transformations possible through seemingly magical means. Brigid has no fear because of her deep connection to the Earth and to her community. She is an independent and free woman, who knows how to draw upon her chi or kundalini energies for her needs, or for others if they need to be healed. Sometimes worrying about facing an ordeal is actually harder than doing whatever it takes to get it done. Strength reminds us that we can face our fears and demons gently, and deal with aggressive people in the same way, sometimes with the best results. In reverse, the woman is afraid to use her special powers, perhaps thinking others may think she is too unusual or crazy. Or she may be too afraid to deal with her issue right now. The Matriarchal one represented in Motherpeace Strength is also known as the “Lady of the Beasts”, as she tames the animals with her spiritual forces. She has the Strength of any savior or redeemer, and is also known as Mistress of the Spirits, a shaman, Sybil, Prophetess, and Witch. 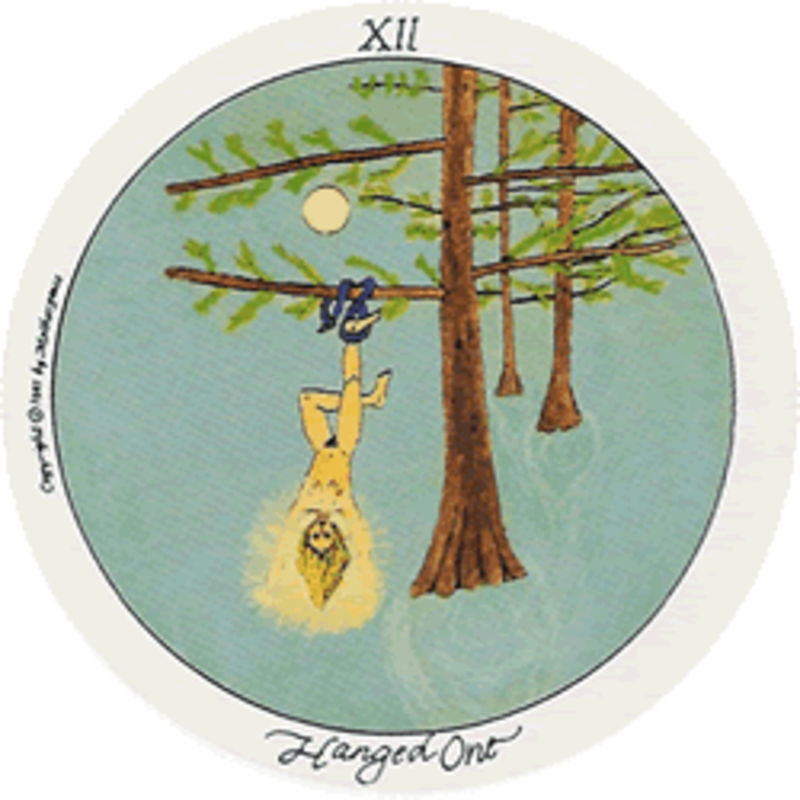 The Hanged One—This is a person who has decided to take a “time out” from life. Although the figure is hanging upside down from a tree, she does not look uncomfortable. Perhaps she just wants to see life from a different perspective. She needs to stop all activity and surrender to what she is. Although it looks as if she is doing nothing, she needs this period of spiritual growth. Perhaps she is giving up something that matters very much to her, for the betterment of another, or for the greater good. She must rest and recuperate until she finds she feels unconditional love once again, and that her mind, body and spirit are in harmony. The Motherpeace deck shows Artemis, in a sacred cypress grove, just stopping all activity. She offers herself to the Goddess and prays, and the snake that she hangs from joins her prayer by taking its tail into its mouth. When Artemis finally decides why she is there and what it is she needs in her life now, her head is surrounded with a celestial glow, or nimbus. This means she has progressed to a higher spiritual level, and can come down from the tree now. When the Hanged One is in reverse, we often find a person who keeps frantically busy, in order to avoid doing the inner work that is so important in life. In traditional tarot decks, this card is usually called the Hanged Man”, changed for obvious reasons. Death—The Motherpeace Death card is one of my favorites. It’s simplicity in expression makes me drawn to it. 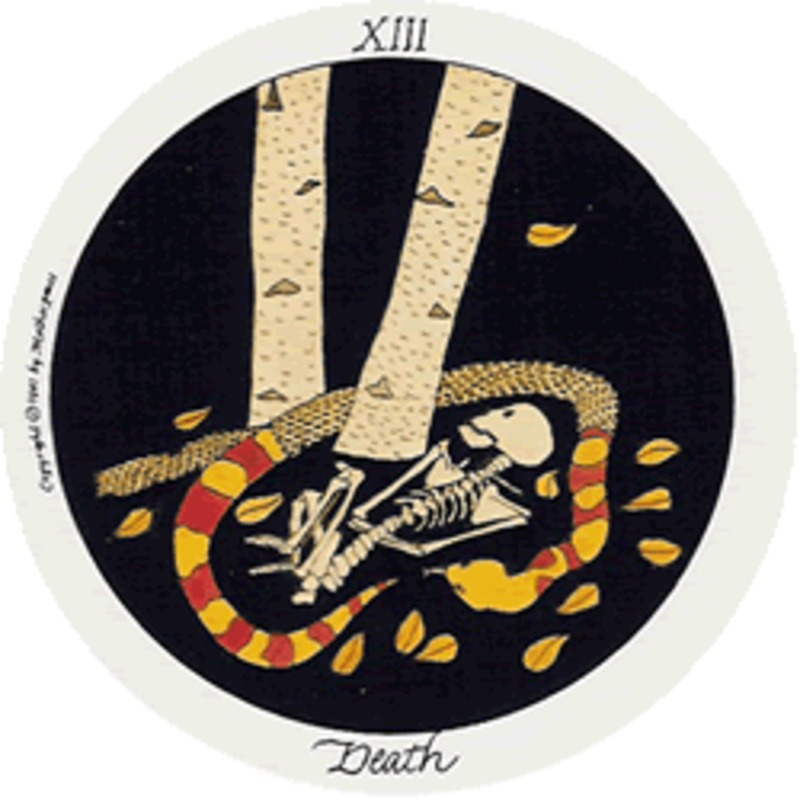 It depicts the bones of a person departed from life on a physical level, resting at the bottom of a birch tree, and surrounded by a colorful red and yellow snake. The bones are in the position of a fetus, and will soon be ready for a new life, just as the old, autumn leaves are falling off the tree to make room for new growth in Spring. The copperhead snake is also shedding its colorful skin, even turns its head to watch itself changing. There is still some shedding of skin left, even though the old body of the snake has died. Even when people are aware it is their time to die, and are ready for it, they still experience pain, grief, and anger. Death speaks to the ego, to an attitude or a relationship, and is not only the physical kind of loss. It is about an organic and final change, but usually not a physical death. A Tarot reader should never predict Death in a reading with the Querent, even if they are sure of the meaning of the reading. 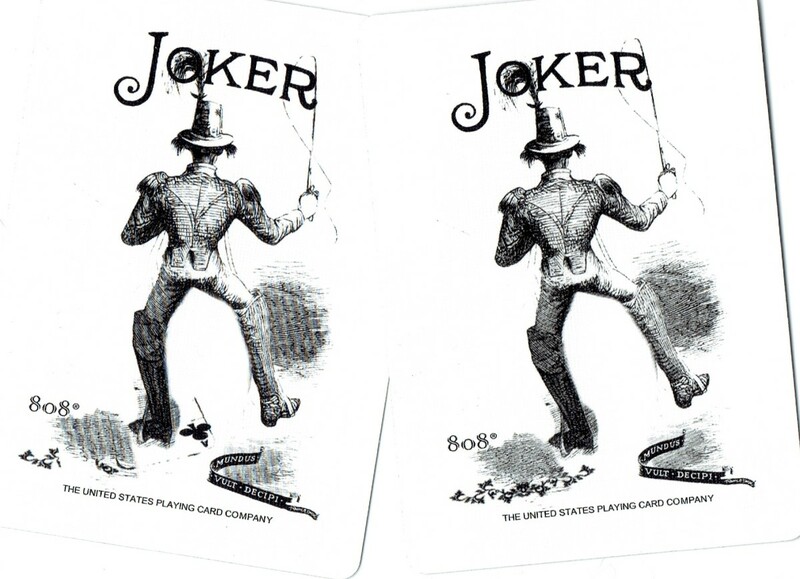 When the Death card is reversed, inertia sets in, and the person cannot let go of a person or situation that is stagnating and is no longer a positive asset in their life. Remember, Death is not an ending, only a transformation. Energy cannot be created or destroyed, so nothing in the Universe is ever destroyed, it simply changes. A person leaves one state of being, and is reborn into another. 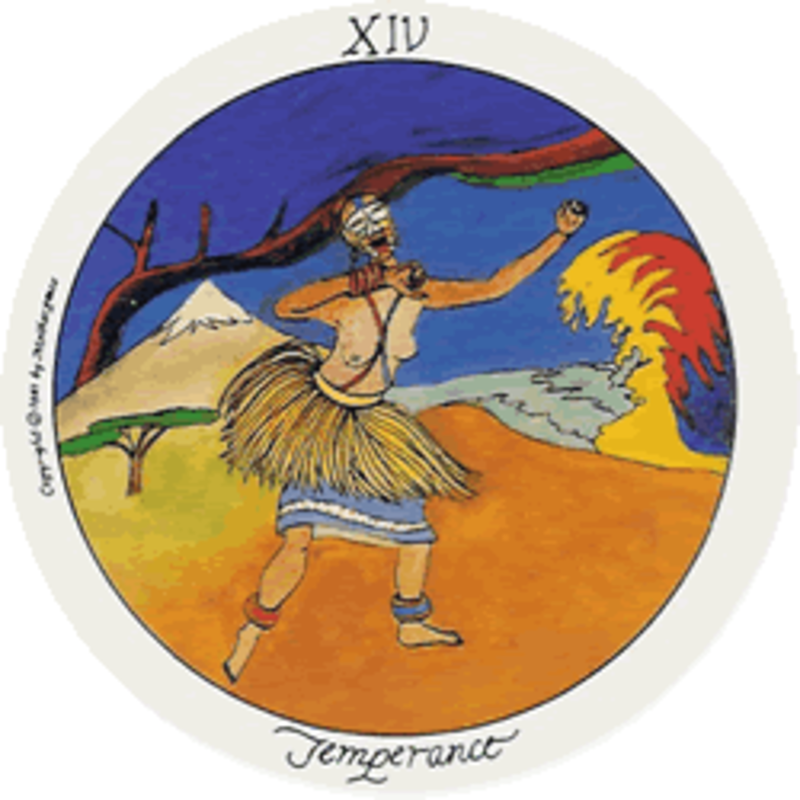 Temperance—The Temperance card is about finding balance in life, sometimes not so easy to do. It is hard to blend all the happenings in our days and find harmony, when our energies are often so scattered. In Motherpeace, the Goddess has entered the dancer’s body, and in a dance so powerful, sets the waves in the ocean on fire! Nothing is impossible when all the energies can be harnessed and focused in a specific direction. The wildness of the nighttime comes into the dancer’s body to heal old wounds. The Aurora Borealis shimmers, colorful and powerful lights add to the dancer’s excitement and sense of bliss. Temperance allows one to direct all the potentials surrounding us into a coherent purpose. We can discipline our emotional, psychic and creative energies and fulfill our dreams with them. This is a time of mastery of equilibrium in the midst of all these energies. They can be used in a creative project, or a sexual union, and this merging feels blessed by the Goddess or by other mysterious forces. When reversed, Temperance makes a person feel pulled in too many directions and unable to direct their energies in one direction, they are too scattered. It may be a necessary time of chaos so the person takes time to rearrange different areas of herself and life into a more integrated form. I hope this helps you, that was the point! You will get used to the turning of the round cards for yourself, it's not as exact as I wrote it here, I just wanted to show what the direction meant. Good luck, it's a great deck. I enjoyed the way you interpreted these Major Arcana Cards. I personally haven't handled the MotherPeace Deck as yet but maybe I will. As for the mention of the topic of karma? I don't think it happens. I wish it did. May be that would be a good hub to write about? It really is a great deck! 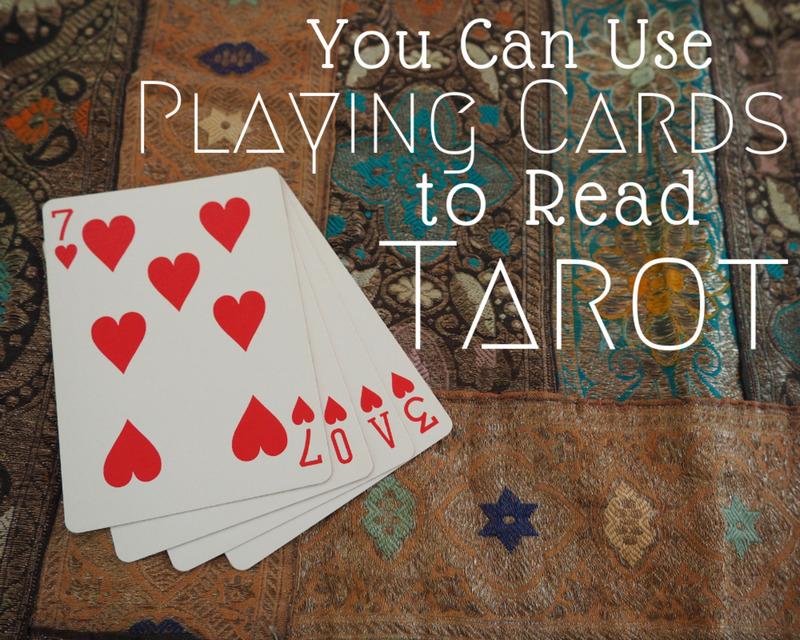 I didn't know of it myself, until I began reading tarot cards out of a friend's store. She had all different decks displayed, sort of like a mobile, so customers could see each card in the decks before buying them. It takes some time to learn it. At first I did a reading with MP, and also one with Rider Waite, to see if it was similar, and the readings always were. I get requests to read particularly with this deck, because it is so emotionally centered. Thanks for taking the time to read my work, and enjoy the deck. Take care.